"Pay close attention and you might solve this. "Mr. Avery is a give-detention-first, ask-questions-never kind of guy, but maybe there’s still time to change his mind. I clear my throat and start to raise my hand until I notice Nate’s smirk broadening. 'Mr. Avery, that wasn’t my phone you found. I don’t know how it got into my bag. This is mine,' I say, brandishing my iPhone in its melon-striped case. Honestly, you’d have to be clueless to bring a phone to Mr. Avery’s lab. He has a strict no-phone policy and spends the first ten minutes of every class rooting through backpacks like he’s head of airline security and we’re all on the watch list. My phone was in my locker, like always. 'Me three,' Cooper chimes in. His Southern accent makes it sound like thray. He and Addy exchange surprised looks, and I wonder how this is news to them when they’re part of the same clique. Maybe überpopular people have better things to talk about than unfair detentions. 'Somebody punked us!' Simon leans forward with his elbows on the desk, looking spring-loaded and ready to pounce on fresh gossip. His gaze darts over all four of us, clustered in the middle of the otherwise empty classroom, before settling on Nate. 'Why would anybody want to trap a bunch of students with mostly spotless records in detention? Seems like the sort of thing that, oh, I don’t know, a guy who’s here all the time might do for fun.'" 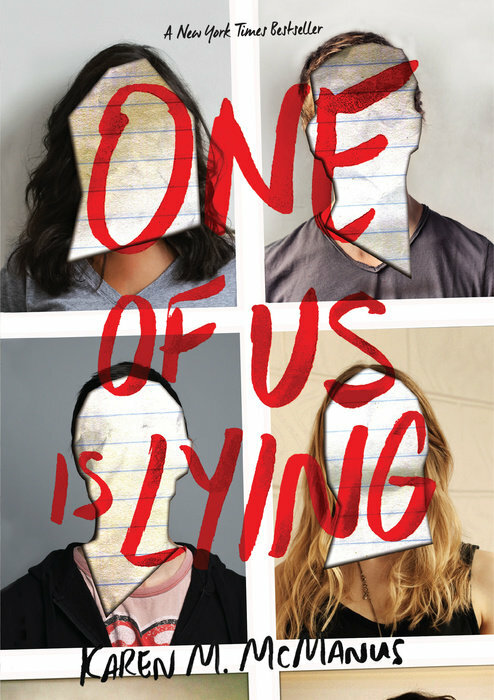 One of Us is Lying is a fast-paced, clever YA mystery. The descriptions out there about this book are accurate: it's a Breakfast Club murder mystery. The story pulls you in very quickly and it is a really engaging read. One afternoon, Bronwyn, Addy, Cooper, Nate, and Simon are all sent to detention. All of them claim that they aren't guilty and that they've been framed. The offense is minor, however, and they each have bigger things (and secrets) on their mind. When one of them fails to leave detention alive, the other four are implicated in the murder. Each one claims to be innocent, but each one also has a storied past that they're trying to keep quiet. Worse off, each of them has a reason for wanting the victim gone. When an author chooses to format their novel with chapters that alternate narrators, they run the risk of audiences preferring some voices over others. There would be moments when reading this novel (and let me add, I read it very quickly because it was just the escape I needed) when I thought I was gravitating towards or relating to one narrator more so than another, but as the story evolved I found myself increasingly absorbed by each character as the stories, crimes, secrets, and implications shifted. 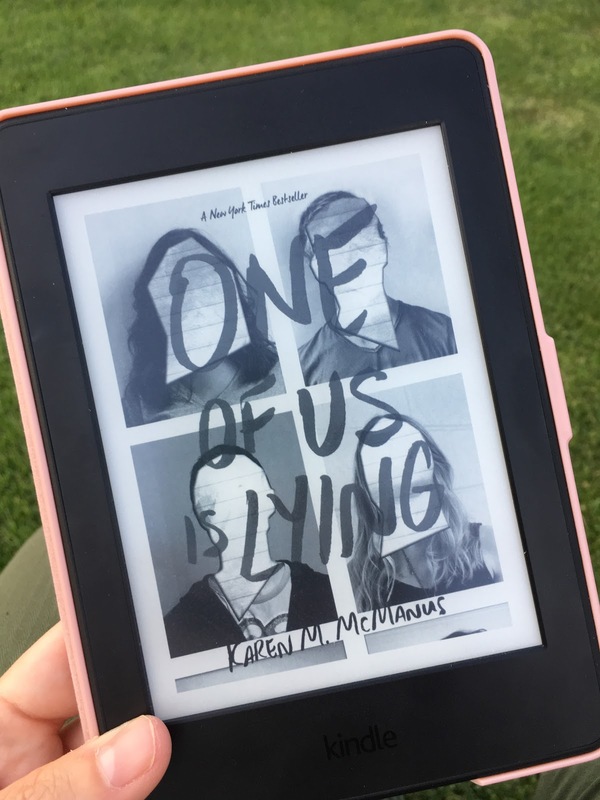 McManus' story is clever, she keeps the action moving, and the finger-pointing continues to shift keeping audiences curious as to whodunnit. There is some language and sexual content which might make it better suited to older audiences than younger ones, but it's an intriguing mystery and left me looking forward to McManus next mystery novel, Two Can Keep a Secret, due January 2019.